Southeast Asia: Regional Timber Supply and Market Outlook - Fastmarkets RISI - Objective Insight. Better Decisions. Examining how changes in Southeast Asian timber supply will impact international markets for logs, woodchips, pulp, and other wood products. Southeast Asia has extensive tropical hardwood resources and wood processing industries, and is a major supplier of hardwood logs and woodchips to Asian markets. It is also a primary supplier of pulp, mainly to China, and plywood and furniture to global markets. One of the region’s major competitive advantages as a supplier is its close proximity to the important markets of India and China. Given Southeast Asia’s key role in the global hardwood markets, trends occurring in this region disproportionately impact global trade flows. 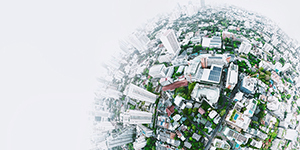 Fastmarkets RISI foresees major changes in the regional supply of and demand for wood fiber over the next two decades which will impact both international markets and other producers around the globe. 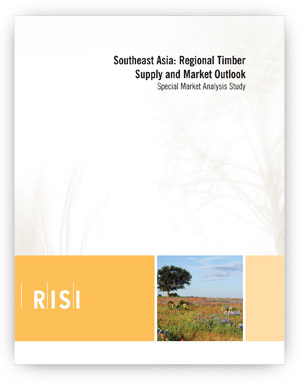 Southeast Asia: Regional Timber Supply and Market Outlook examines how changes in timber supply in the region will impact international markets for logs, woodchips, pulp, plywood and other wood products. It is a comprehensive review of Southeast Asian forest resources, its forest products industry, and exports of both raw materials and processed forest products. Emphasizing the outlook for future trends, the study provides insight into expected changes in the volume and quality of available timber supplies, industrial production and net exports while identifying implications for timber growers and forest products producers in other regions.